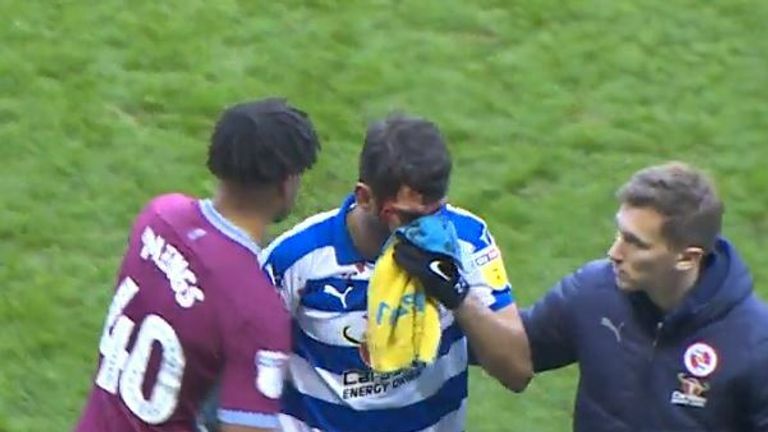 Aston Villa defender Tyrone Mings will face no further action from the FA following the incident involving Nelson Oliveira in Saturday’s game with Reading, Sky Sports News understands. Mings, making his debut on loan at Villa from Bournemouth, appeared to stamp on the face of Oliveira, leaving him with gashes on his face. But because the incident was seen by referee Geoff Eltringham and his officials at the time it occurred, he will face no further action. 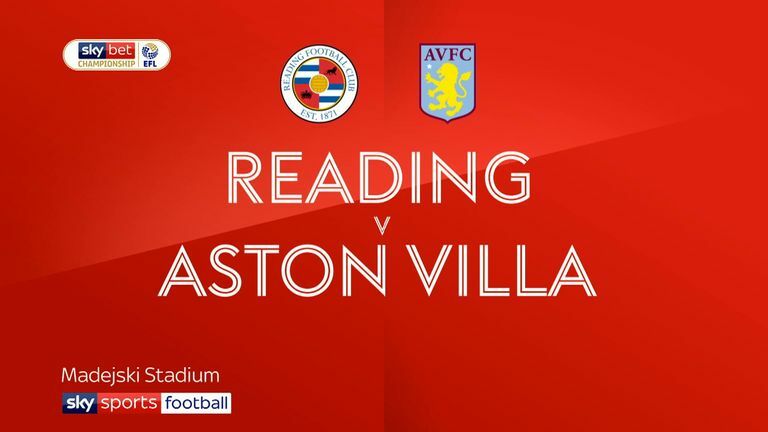 Nelson Oliveira was forced off during Reading's draw with Aston Villa on Saturday after Tyrone Mings accidentally stood on his face. Mings will, therefore, be available for Villa's home game with Sheffield United in the Sky Bet Championship on Friday - live on Sky Sports. He later posted an apology to the Portuguese forward, writing: "Feel awfully sorry to Oliveira, I hope he is ok."
After the game at the Madejski Stadium, which finished 0-0, Reading posted a tweet which read: "Nelson Oliveira has had surgery and is recovering well." Mings was given a retrospective five-game ban for stamping on the head of Zlatan Ibrahimovic while playing for Bournemouth against Manchester United in 2017.